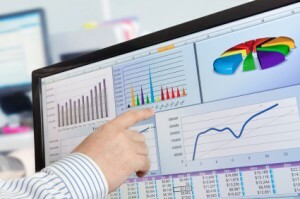 Predictive Analysis is the next step in data analysis. Up to this point, healthcare analysis has been focused on “what happened” & “why did it happen.” What can we learn from what happened? How can we institute change based on what happened? How can we be more efficient, more standardized, more focused? Looking at data over periods of time and across data elements, patterns begin to emerge that help you make decision practice decisions. And indeed, the success of your practice depends in no small part to your ability to parse the data accurately and timely. Looking at stats on patients after the patient has left the office is too late. Having access to real time data allows the provider to make clear and definitive treatment decisions based on that data. Amazon uses predictive analysis to predict who will buy what by analyzing past buying patterns. They know what ads the consumer is most likely to pay attention to and what they will buy, where they will buy it from, who they will by for, or what times of month they will buy. They literally bank on predictive analysis. Your practice can too., but it takes skill and large amounts of data over time. That kind of skill doesn’t grow on trees. And unless you have a large practice and can afford that skill, you will probably want to out-source it. Or at least let someone with that skill set it up for you and get it going and over-see it as more and more uses are found. Start simple so you can test the outcomes in a reasonable amount of time. Some outcomes may take time to evolve, so you will need patience, but don’t skip this important step. Medical Management Services has this kind of skill. Whether you are a large practice or a small one, data is data. You need skill to manipulate, analysis…form conclusions. Give us a call and tell us what you think your practice needs to grow and contain cost.